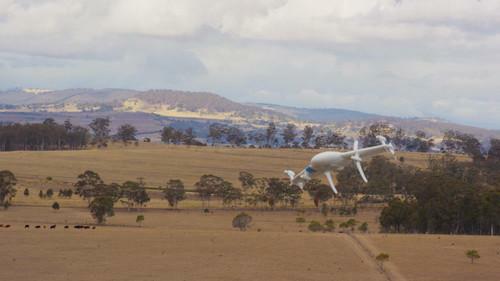 A Google drone flies through the sky. Thus Alphabet was born, catapulting Google's top executives into new roles with new titles. Cofounders Sergey Brin and Larry Page are now president and CEO of the Alphabet holding company, respectively, while Sundar Pichai, formerly a vice president in charge of Android, Chrome and Google apps, will become Google's CEO. It's a move that allows Google's well-established search business to continue along unabated in the competent hands of Pichai while those diverse side ventures -- the exciting ones, some might say -- get a more prominent and clear role in the hands of Brin and Page, even as the entrepreneurial cofounders maintain the freedom to step back into Google as needed. "The core Google search business has been a cash cow forever," said Bob O'Donnell, president, founder and chief analyst at Technalysis Research. "It has essentially justified all these explorations into other weird stuff." That relationship worked fine for a while, but "there's been an increasing sense of, 'Hey, you need to get serious about these other businesses if you're really going to do them,'" O'Donnell said. "Otherwise, it's just a bunch of science projects." "Lack of transparency has actually been a longstanding issue among financial analysts who follow Google," said Charles King, president and principal analyst with Pund-IT, via email. "The Alphabet structure seems designed to specifically address those complaints." "At one level, Google is a hugely successful business that largely dominates online and mobile advertising," said King. "But headline news tends to focus attention on the less conventional sides of the business, including those areas where Google regularly makes -- and often misses -- big bets." In reality, those efforts may have just a minuscule effort on the business overall, but the fact remains that when they don't take off, they can be "something of a drag on public perception of Google and its share value," King said. The new structure should allow more agility by giving each separate venture the ability to take risks while remaining "at arm's length" from the corporate structure, noted Rob Enderle, principal analyst with Enderle Group, via email. "With most of the anticipated fines coming in at search, this could allow Google to bankrupt the search business or argue for a smaller fine tied to that now-smaller business," he explained. In addition, "they could incorporate some of the businesses in regions with better tax and regulatory structures, though pulling that off might be more difficult than it would be worth," Enderle said. "Because there are far more top executive spots to fill, fewer will have to leave Google to become CEOs," he said. "They now can leave acquisitions largely intact like Dell does, so they dont bleed these executives after an acquisition."